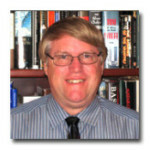 John McClintic received an A.B. in English, with Distinction and Departmental Honors, from Stanford University in 1979, and is a member of the Phi Beta Kappa honor society. He earned a JD from Boalt Hall School of Law, and an MBA in Accounting from the Haas Graduate School of Business, at the University of California in 1983. He joined the firm after graduation and became Managing Partner in November 1999, working out of the Walnut Creek office. He represents individual and business clients ranging from solo entrepreneurs and individuals to multi-national corporations. His practice emphasizes domestic and international business transactions; mergers and acquisitions; business formation and operations; family business transition planning; family limited partnerships, gift planning, and valuations; and estate planning and trust administration. John provides volunteer services on tax-exempt organization and business matters to several non-profit organizations, including the Antiochian Orthodox Christian Archdiocese of North America, St John Orthodox Church and the Rotary Club of Walnut Creek. He also is an active volunteer leader with the Mt. Diablo Silverado Council of the Boy Scouts of America.